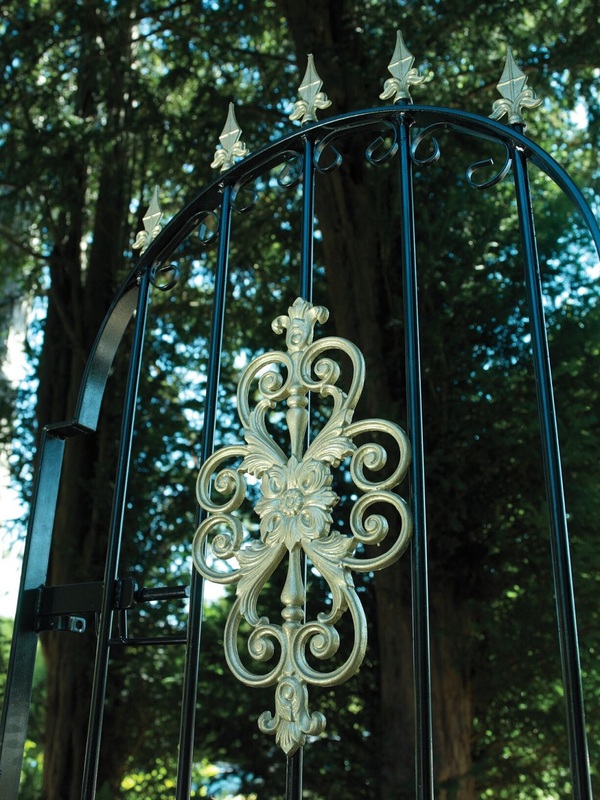 Visually appealing wrought iron style gate design. Heavy duty solid steel construction. 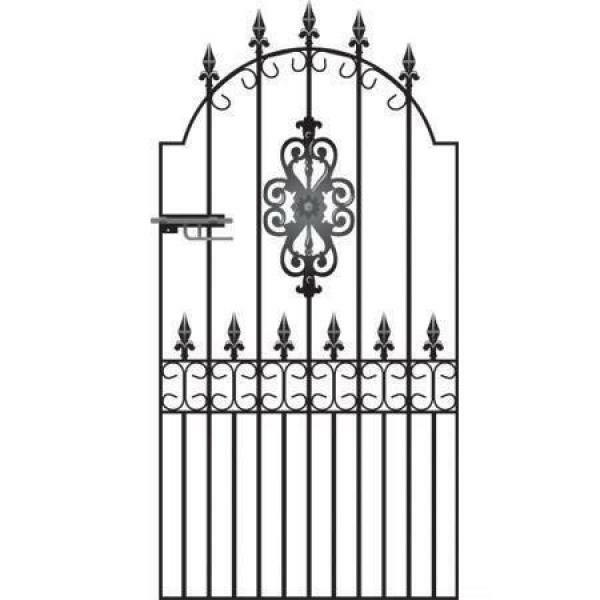 As the name suggests the Royal Premier is our finest quality wrought iron style side gate. Manufactured in the UK, it will suit a variety of architectural styles and outdoor spaces where there is a need to provide good levels of security without compromising on appearance. Royal Premier design features a heavy duty solid steel construction. Available to order in a variety of sizes. 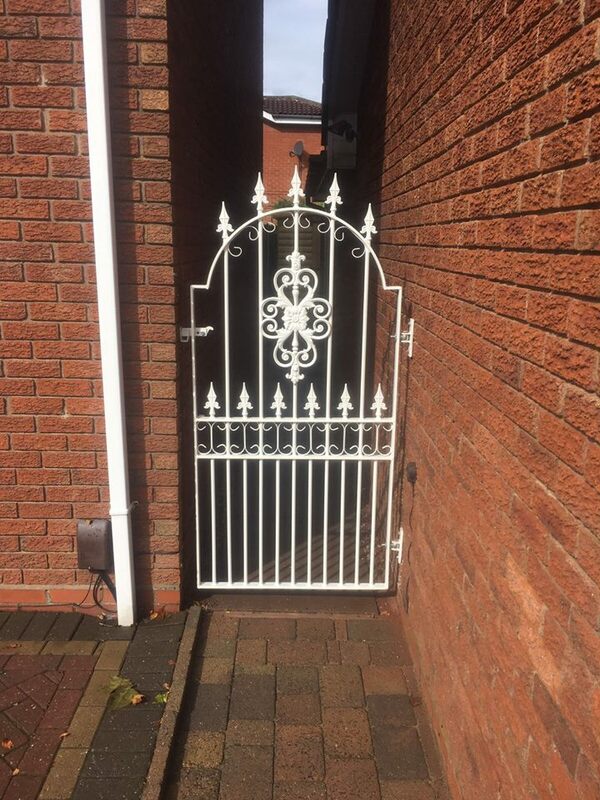 Gates are manufactured using 40mm x 10mm frames and 16mm infill bars. Supplied with adjustable hinges and a sliding latch (can be secured using a padlock). Designed to be right hand hanging only. (as viewed from the road side). Royal Premier side gates come in a black primer finish ready to be painted before installation. 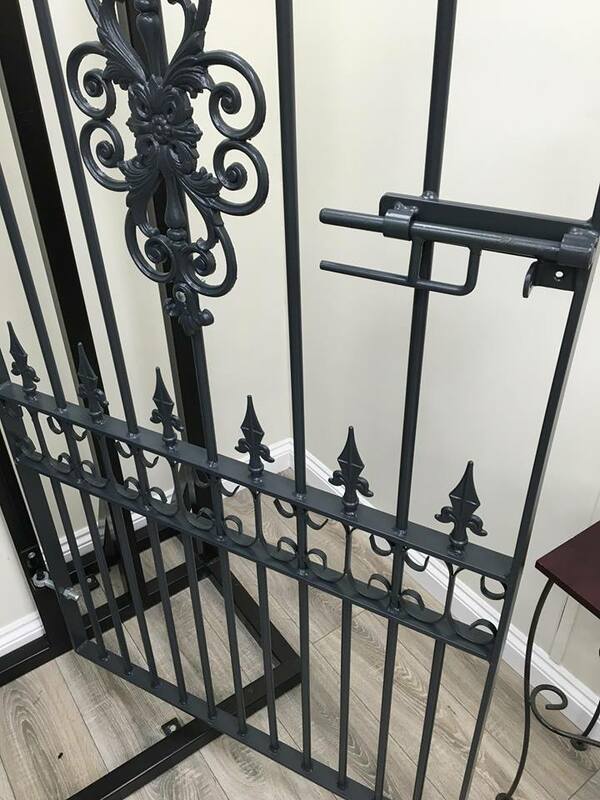 Do you need assistance chooing a wrought iron style tall garden gate? Call us on 0844 804 5577 to speak to us in person or take a look at the measuring guide and ordering information page. To find out more information about the above items please call now on 0844 804 5577, email sales@gardengatesdirect.co.uk or fill in our enquiry form.